We all remember how the famous Pakistani makeup artist Omayr Waqar lashed out at Ushna Shah when she lent her voice in support of stray animals in Pakistan. Both started posting aggressive posts to each other which made things uglier and created a stir on the internet. 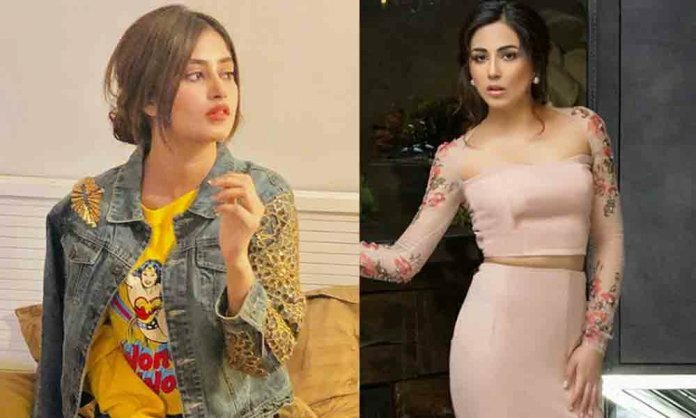 However recently, the makeup artist initiated a new debate on social media when he said that he doesn’t want to work with Sajal Aly and Ushna Shah. Omayr Waqar recently participated in a question-answer session through his Instagram stories yesterday and his followers took full advantage of it. 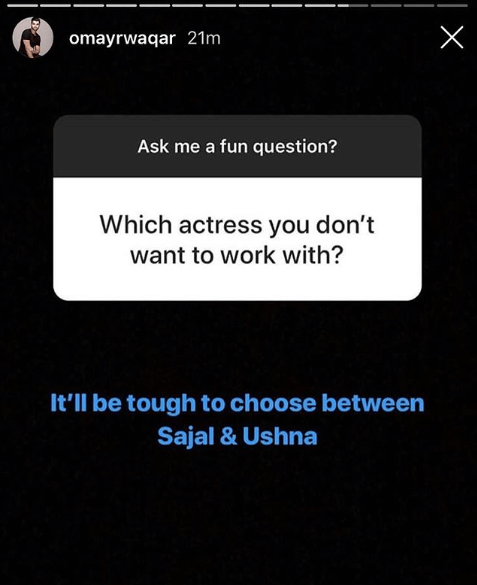 Omayr Waqar was asked by one of his fans which actress he doesn’t want to work with to which he replied that it’s tough for him to choose between Sajal Aly and Ushna Shah. It will be tough to choose between Sajal Aly and Ushna Shah. Have something to add to the story? Let us know in the comments section below. For more updates and details, stay tuned to DailyInfoTech.